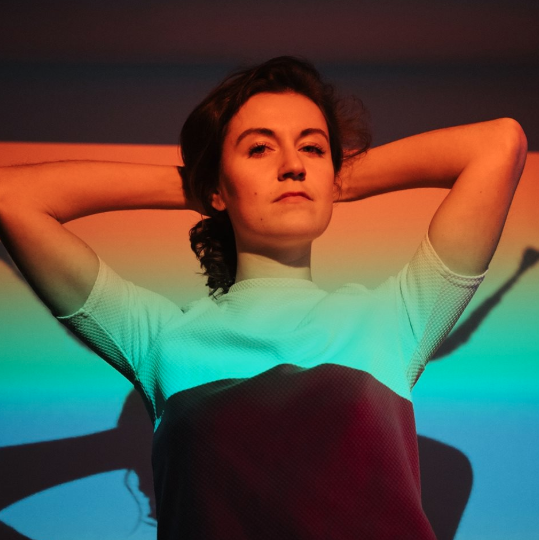 Amsterdam artist Someone (aka Tessa Rose Jackson) recently shared her single 'I Can’t Remember How To Talk To You' via [PIAS] Recordings. The track is the final single to be released from her upcoming EP Orbit, which will be released on May 1st. We asked Someone to give us an insight into how her new single came to life. I wrote 'I Can't Remember How To Talk To You'… because I'd been watching the film Napoleon Dynamite and got obsessed with wanting to musically re-create that awkward highschool house-party vibe. You know, the ones with all the tinsel and the punch. I wanted that sugary retro vibe, but with a little irony. The story behind ‘I Can't Remember How To Talk To You' is… about a girl, at one of these parties. She's loaded up a little too heavy on the punch, and runs into an ex-boyfriend. At first, she's confident and playing it cool in conversation, but slowly she begins to unravel. By the chorus, she's a mess of mascara and drunken hysteria, totally out of control and just spewing out all the things she's wanted to say for a while. It was made… in my home studio, a few years back already. Just me, my dusty synthesizers and favourite chorus pedal. My main inspiration was… Napoleon Dynamite, for sure. Something about that beautiful intelligent awkwardness, like an ode to nerd-dome. I love it. It sounds best when… you're alone and you crank it up loud on your speakers, and (optional hairbrush in hand) just shake loose and do all those embarrassing dances that make you feel good but you wouldn't dream of doing in public. Yet.